Velvet is one of the most sumptuous and classy fabrics in fashion. In the collections for fall/winter16 it has been spotted in creations of various designers. So, are you ready to get inspired by one of the coolest fabrics for next season? There are a lot of things to love about this soft, retro-feel fabric. 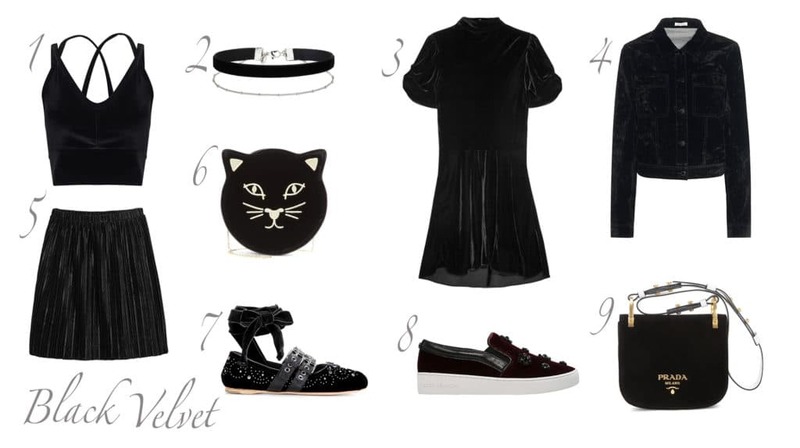 First, velvet is one of the comfiest and elegant materials you can wear. Depending on the light, velvety clothes always look a bit different. This is probably why it is one of these fabrics which is absolutely timeless – velvet never gets boring. After it has especially been known to be a part of the elegant and classy wardrobe, it now plays an important role in casual looks as well. This season, you will definitively feel those all-velvet-everything-vibes. I hope you are ready to play the velvet game for the coming season – and I’m sure you’ll find even more ways to rock this comfy fabric. Have a great day my sweethearts, spread some velvet vibes! Samt gehört zu den kostbarsten und klassischsten Stoffen überhaupt. In den diesjährigen Herbst/Winter Kollektionen waren die Kreationen aus Samt kaum zu übersehen. Offenbar haben sich gleich mehrere Designer dazu entschieden, das retro Material wieder aufleben zu lassen. Da es wohl kaum etwas bequemeres als Samt gibt, können wir uns definitiv freuen! Je nach Lichteinfall sieht der glänzende Stoff immer ein wenig anders aus. Das ist wahrscheinlich einer der Gründe, weshalb Samt absolut zeitlos ist – ein Stoff, der nie langweilig wird. Bis jetzt war Samt vor allem Teil der eleganten und klassischen Garderobe. Diese Saison wird das edle Material nun auch casual gestylt. Den Kombinationen sind absolut keine Grenzen gesetzt. Damit meine ich nicht nur Outfits bestehend aus einem Samtkleid oder einer Jacke. Falls du auf der Suche nach neuen Stiefeln bist, wirst du eine grosse Auswahl an samtigen Kreationen finden. Samtstiefel halten deine Füsschen nicht nur schön warm, sie lassen sie gleichzeitig auch super stylish aussehen. Natürlich gibt es auch Slipper- oder Ballerina-Variationen. Dein Schuhschrank wird sich bestimmt darüber freuen. 🙂 Nun, wahrscheinlich hast du nicht immer lust auf ein komplettes Samt-Outfit. In diesem Fall, kannst du das edel, bequeme Stöffchen auch mit anderen Materialen kombinieren. Oder du entscheidest dich für ein Kleidungsstück mit kleinen Samt-Applikationen (wie zum Beispiel der Mantel des zweiten Inspiration Boards). Du siehst schon, es gibt unzählige Möglichkeiten, Samt zu stylen. Welchem Samt-Team gehörst du an? Ich hoffe du bist nun Samt-Fieber-ready! Ich bin gespannt, was dir noch für Ideen einfallen, den vielseitigen Glanzstoff zu stylen. Habt alle einen wunderschönen Tag meine Lieben, vielen Dank fürs vorbeischauen! 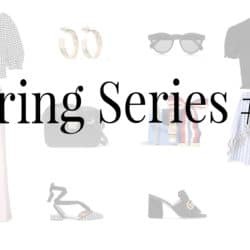 Posted in Trendy Tuesday and tagged Accessories, Black, Classics, Fall/Winter 16, Fall16, Fashion, Grey, Inspiration, Musthaves, Pink, Things to love, Trend, Velvet. Bookmark the permalink. TOP AUSWAHL und super Looks. 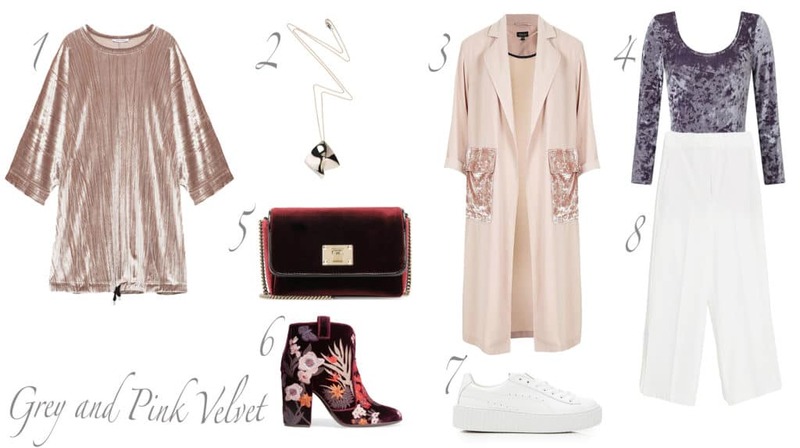 I need all the pink velvet omg <3 great picks! I’m loving all things velvet this season, too! It’s such a sophisticated look and adds such a great texture to an outfit. These sets you’ve created here are gorgeous and I’d personally every piece, you have such great taste! Thanks so much for sharing, beauty, and I hope you have a great week ahead! Wie schön das Samttop ist ! I kinda love that velvet is coming back- I definitely need to stock up! LOVE your picks! I need those boots in my life! Yes the velvet game is devo strong next season! I can’t wait for more to flood in the store! Oh yes me too 🙂 Thank you so much for stopping by! I am so excited about the velvet trend for fall! I am wanting a velvet dress & pair of booties! I’m sure you’re gonna find your velvet faves 🙂 Thank you for your comment! I’m loving this post Carmen! I’ve been seeing velvet popping up as we get closer to fall and am so happy about it, yet surprisingly I don’t own any yet. These picks are the perfect reminder to me to scoop some fabulous pieces up! Black velvet! My favorite! Great selection! I just bought my first ever velvet booties and I’m obsessed! I haven’t been a fan of velvet before, but I think it can look very stylish and chic if styled well! Thank you so much – they’re my faves too! Thank you so much Andreea, I’m so happy you liked it! Vielen Dank liebe Alina, dein Kommentar freut mich sehr! I’m loving all this velvet! I can’t wait to get a few pieces this fall! I’m SO into velvet right now. It’s such a lush texture for Fall. And these are some great picks. Those dresses are to die for! I have to tell you how much I love all of your picks! I’m loving velvet right now and have been saving up for a really great bag! Thanks for all of the inspiration! Aaw thank you so so much Amanda! Ich muss zugeben, der Samttrend ist nicht so mein Ding – vielleicht würden Booties noch am ehesten in Frage kommen… Aber deine Auswahl gefällt mir super – bin schon gespannt, wie du sie diesen Herbst stylst! Aaw how great! Thank you so much for your comment! Vielen Dank liebe Nasti, es freut mich, dass dir die Auswahl gefällt! I adore velvet! Love these picks for fall! Velvet is great for winter and holiday seasons. I love especially the pink pieces! Oh yes I really could imagine you wearing one of the pink picks – thank you so much for your lovely comment Lily!